It is always amazing when you receive gifts and it is not your birthday or name day or Easter or Christmas. You know what I am talking about… small surprises from friends that they actually know you really well! So, when a good feind of mine came into my house with a big box full of moss, that her husband collected from the Nature, the only thing to do is to yell! So much moss and so many ideas from my side! 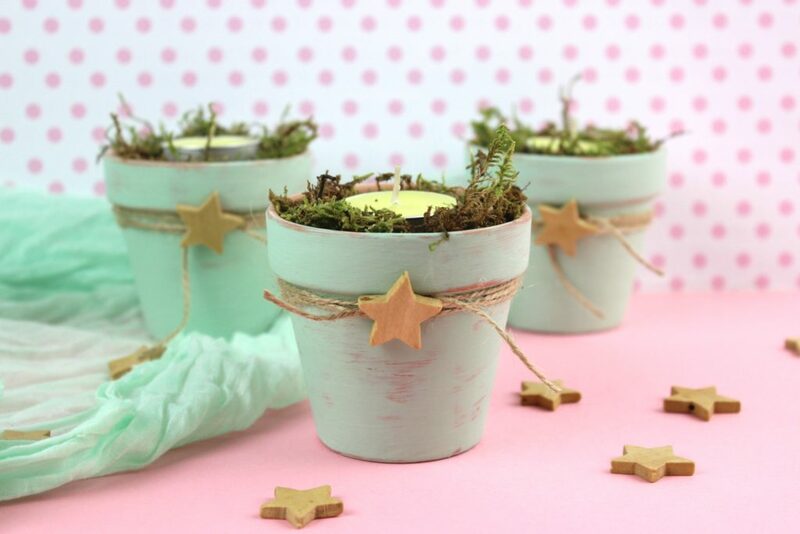 Let’s start then… Upcycle old planters to candle holders with chalk paint! 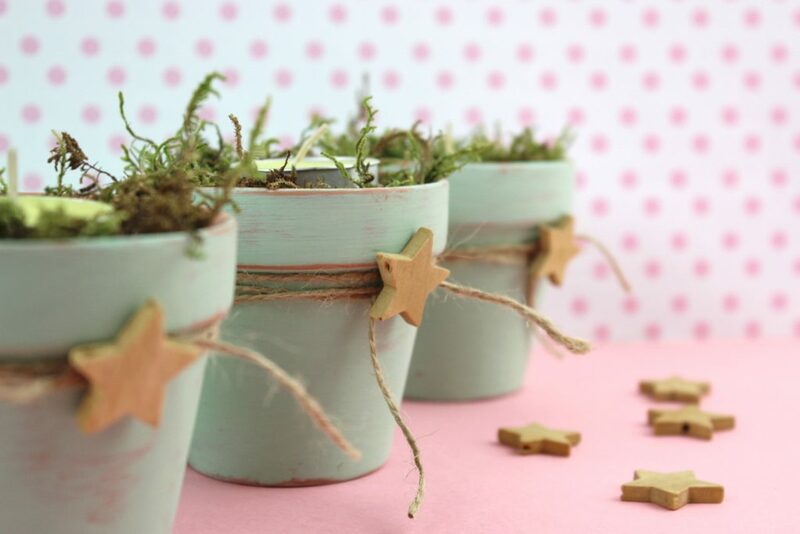 I have used in the past chalk paint in my crafts. To be honest I have heard how amazing this paint is, but I was realized it when I first used it in my creations. So chalk paint for my Rotated Cake Stand, chalk paint for my Serving Dish and many more. But to be honest, after my Wooden Box for the Fireplace , I loved it even more! So easy to use it, easy to apply it and of course it dries really fast! Simply perfect for a person like me that cannot wait for long. This time, I used it on a few old planters I had. 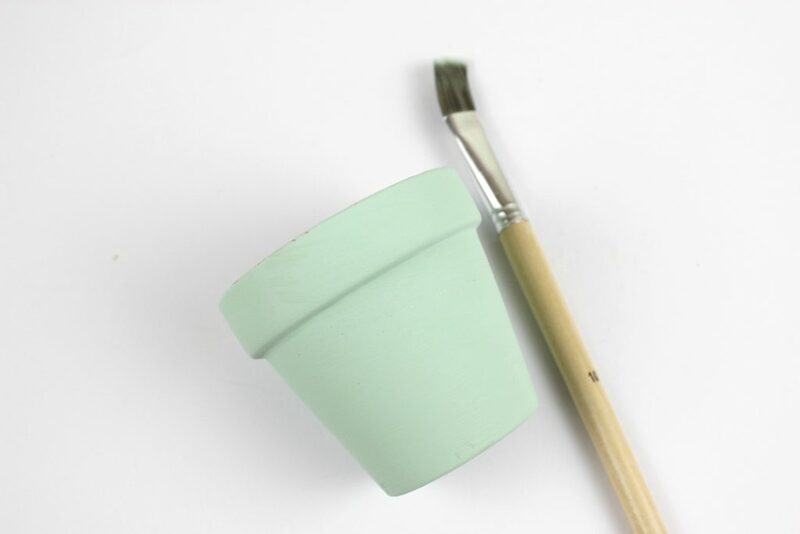 Just apply the chalk paint with the paint brush on a clear surface. Allow it to dry and repeat the procedure. With the sand paper remove some of the paint dust. 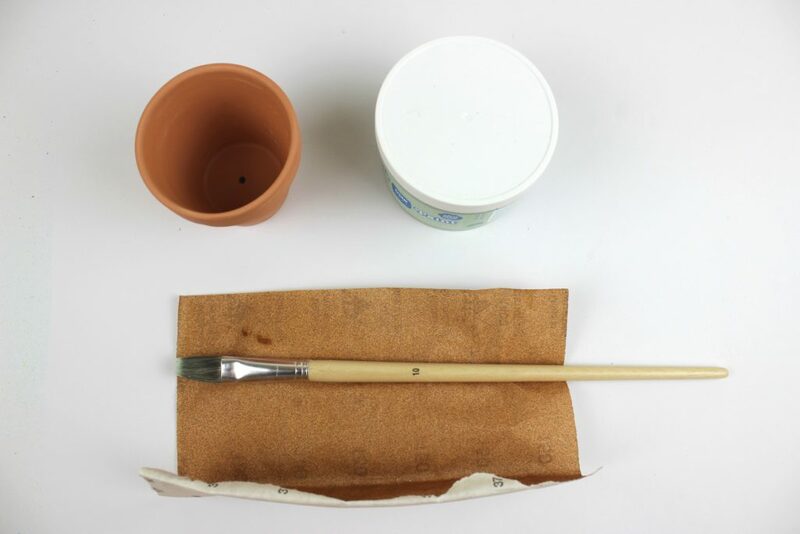 If you wish to make your candles look like really old and used, just insist with the sandpaper on the points you wish to have less color. 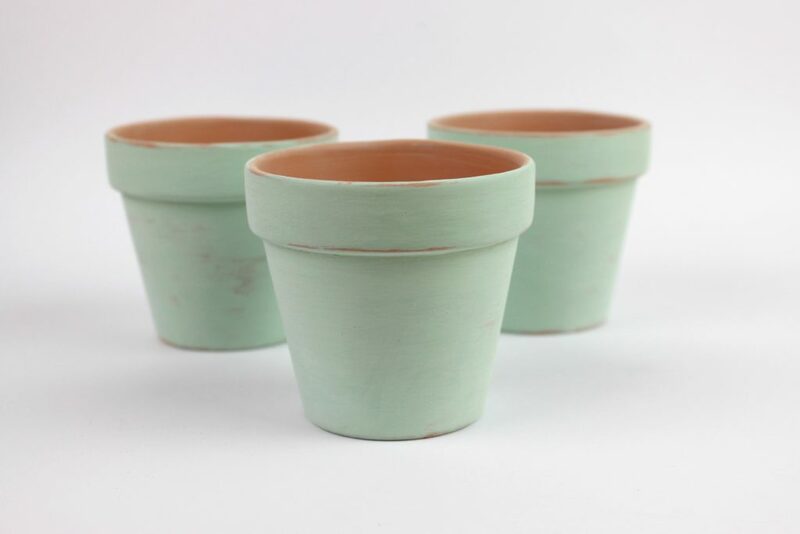 I did on the upper edge of my ceramic planters. 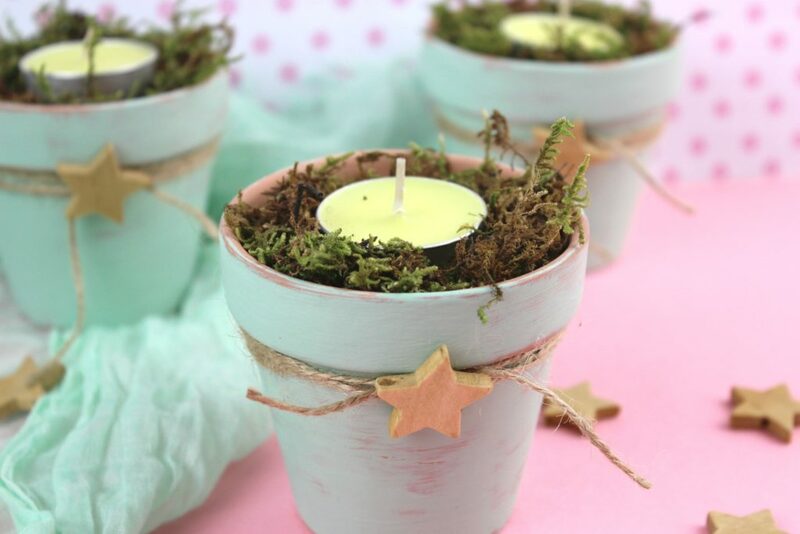 When the paint is dry, you just need to fill the planter with moss and also use a tea candle in the middle! The candle holders are ready! As you can imagine having no additional decoration on my candles was not my style. But again, I did not want to add more bold color. Just cord and a wooden star and the candles for me at least, are simple perfect! And what about the moss? This is the easy part, since moss can leave only with the enviroment’s humidity. However if your house is really dry, you can add water on a spray bottle and wet them a little. That’s it. 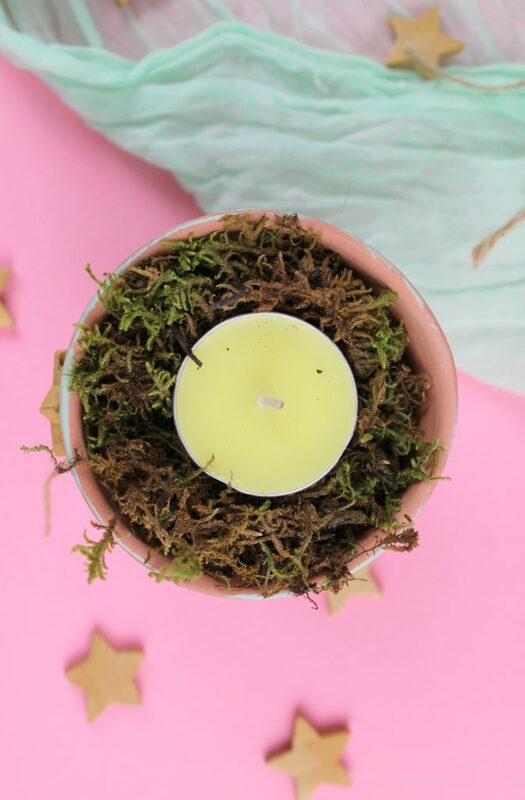 Your woodland candles are ready! Passion crafter , dreamer, lover of travelling and of good food, fan of colors and of photography! Lucky mother of two, who help me extend my imagination! EfZin…live well, dream and laugh! Sunset in Athens Olympic Stadium! How to make a Tablecloth from a Placemate !! !